Throughout Greece, religious festivals and social events have become an important part of life, and this is particularly the case on the island of Rhodes. 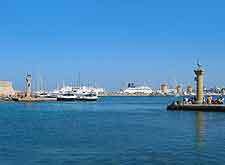 Many of the main events take place in Rhodes Town itself, although there are often a choice of seasonal celebrations and other similar things to do around a number of the island's villages. Each year, the Greek Orthodox Easter is a major high point on Rhodes and a great cause for celebrations and festivities. Easter Mass is held at midnight on the Saturday before Easter Sunday and attracts huge crowds, with processions of candles. Those arriving on the island during the month of May may be interested to head along to the Medieval Rose Festival and enjoy a taste of life from yesteryear. During the summer months, the Hellenic Festival of Sound and Light is a particular highlight at the Old Fort, where the story of the Rhodeans battling against the Turkish army some 500 years ago is told is five different languages. 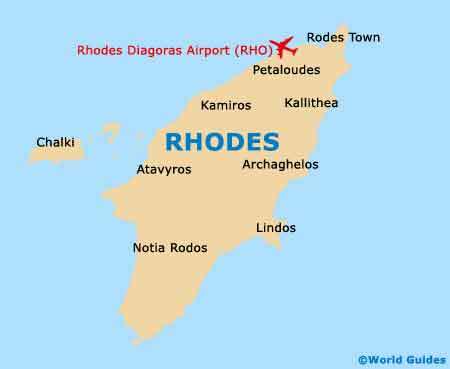 Also in the summer on Rhodes you can expect a array of cultural events, which include open-air concerts, various visiting art exhibitions, and a number of different theatrical performances, so you can be sure that there will be plenty to choose from during your stay. Always popular in the summer is the folk dancing on Monday events at the Municipal Theatre of Rhodes, which are actually free to attend. There is always lots going on during June and July. 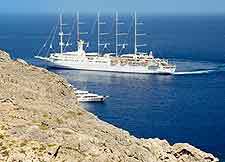 The Rhodes International Cinema and Visual Arts Festival of Rhodes (Rodos Ecofilms) take place annual towards the end of June and is held at the Rodon Cinema Theatre in the capital, while July sees the arrival of the popular Short Film Festival, which is hosted at the same venue.